Cerritos on a Puente Weekend | ¡VidaMaz! On this extended puente or “bridge” weekend, commemorating Benito Juárez’ birthday, Greg and I are both back from trips: he to San Antonio for a conference, me to Venice and Milan to teach a course. While it’s always great to travel, see new places, and connect with colleagues and friends, it is also such a joy to return home to the sunshine, the warmth, the affordable fresh seafood, and the joyous people. Since it is a puente weekend, we wanted to join in a bit of the fun and be among the many local and national tourist families that are out enjoying Mazatlán’s dozens of miles of gorgeous beach. And where better to do that than at Cerritos and Playa Bruja? We drove up, I ordered lobster and a coconut while Greg ordered fish and a Pacífico, and we commenced the people watching. 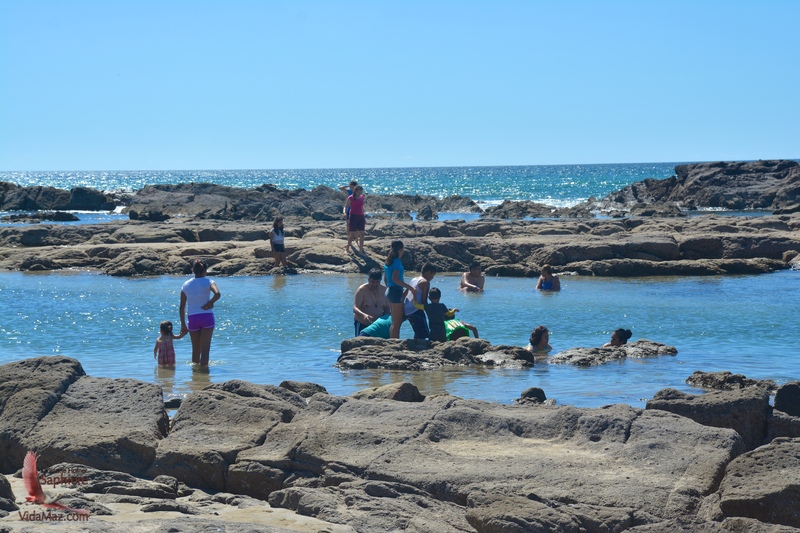 While in town we have the fishermen and their pangas at Playa Norte, the sheltered swimming bay at Los Pinos (along with its great surfing farther out), and the miles of sandy beach along the malecón itself, Cerritos is a more complicated mix of sand and rocks, forming sheltered, shallow pools that are perfect for families with small kids to enjoy. It is also home to the fishermen up there, a juxtaposition of people eating, swimming, and working, all from the same rather small beach. This weekend, I enjoyed marveling at the ingenious ways people came up with to shade themselves from the sun. 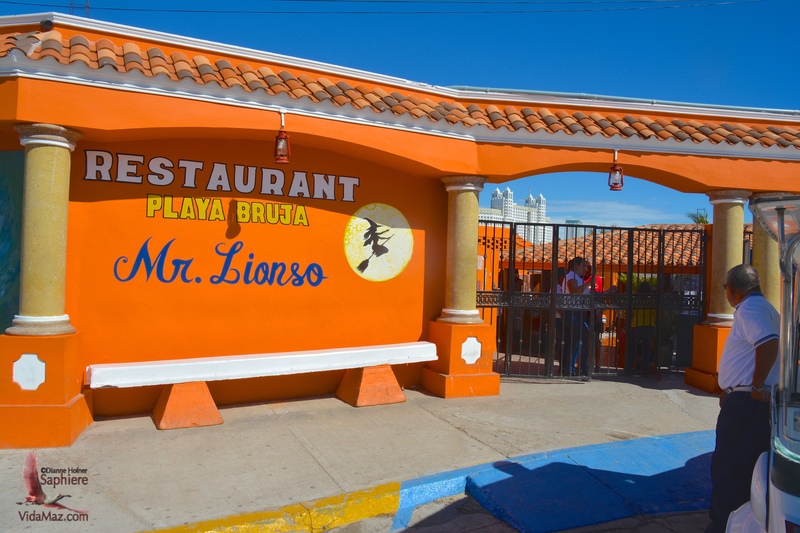 Around the point from Cerritos we of course have Playa Bruja, with Lionso’s Restaurant. There are so many people out and about that Lionso’s has a guard stationed at the gate, to ensure that only people who will eat or drink come in. Since the last time I paid attention there are a couple of new little places to eat at Bruja—one called “Tiburones” along the beach, and another tucked into the shelter of the rocks. Both are basic palapas. It was wonderful to see the beachside service of food and drinks, and the number of tents put out for tourists and locals to enjoy the day. The beach at Bruja is not the fine sand that caresses your feet, as it is in town. 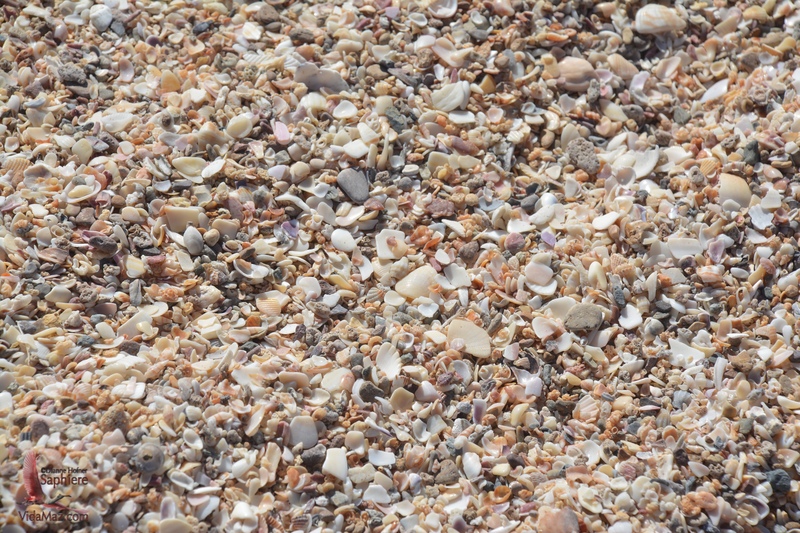 Rather, here you’ll find loads of gorgeous shells, just waiting to be crushed and ground up into sand, but, right now, they are razor-sharp and make footwear a requirement unless you’ve got very hardy feet. On a puente weekend the beach vendors are happy. They’re selling lots of jewelry, hats, sunglasses, cover-ups and cotton candy. The weather is absolutely perfect: sunny, clear, warm but not humid, and the band members from Mr. Lionso’s have to get outside to enjoy their tostilocos, even though they probably shouldn’t. 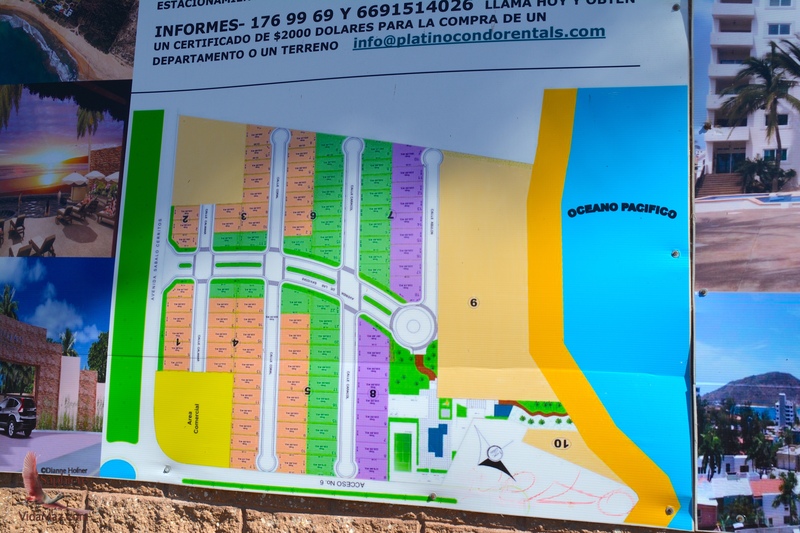 There’s a huge new housing development going up right beside Lionso’s, heading south towards El Riu. It looks to be a mix of single family homes and condos. This time of year, the snowbirds are starting to go home, and puente weekends like this, and soon enough Semana Santa as well, remind those of us who live in Mazatlán year round what it’s like to live in a Mexican town.